12/6 UPDATE: Re-built Windows version w/ latest Leap 2.2 assets to fix Windows 7/8 issues. We set out to create an experience that would play to VR's current strength, which is immersion, and not push into what makes most people sick -- movement. To enjoy this experience, you will need Oculus VR + Leap Motion hardware. We also strongly recommend having a good set of headphones to wear. The one twist to the experience is that at one point we ask you to lie down, so try out this experience when you are near a couch, bench, or bed. 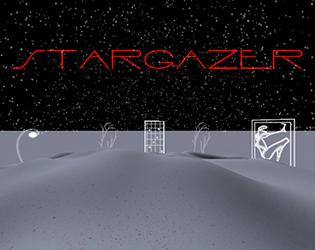 For OSX: Download Stargazer.app.zip and unzip. Run Stargazer.app. For Windows: Download Stargazer.win.zip and unzip. Run Stargazer_DirectToRift.exe.